TH E M R EP O RT | 61 SECONDARY MARKET THE LATEST O R I G I NAT I O N S E R V I C I N G DATA G O V E R N M E N T S E C O N DA R Y M A R K E T i n m e m o r i a m laurie anne maggiano (1954-2018) "A life well lived is the most exquisite work of art." 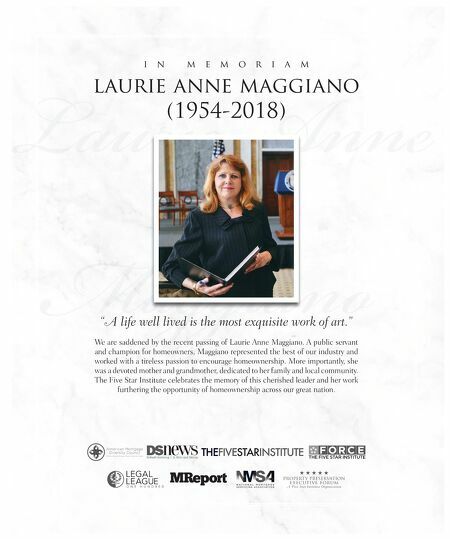 We are saddened by the recent passing of Laurie Anne Maggiano. A public servant and champion for homeowners, Maggiano represented the best of our industry and worked with a tireless passion to encourage homeownership. More importantly, she was a devoted mother and grandmother, dedicated to her family and local community. 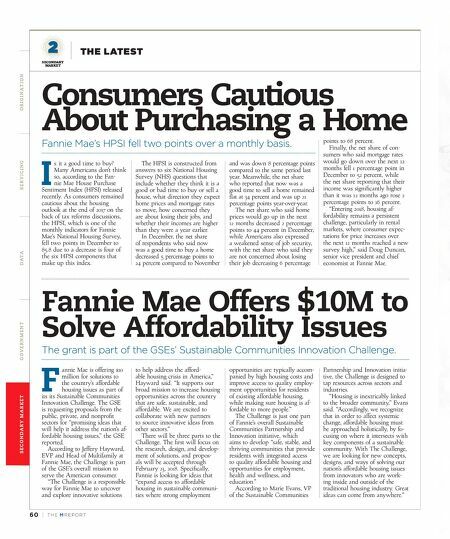 The Five Star Institute celebrates the memory of this cherished leader and her work furthering the opportunity of homeownership across our great nation. property preservation executive forum A Five Star Institute Organization American Mortgage Diversity Council Where Diverse Groups Share Common Goals.